By Lindi Botha. March 20, 2019. This story was originally posted in farmer’s weekly. Soya bean crop. Stock photo. 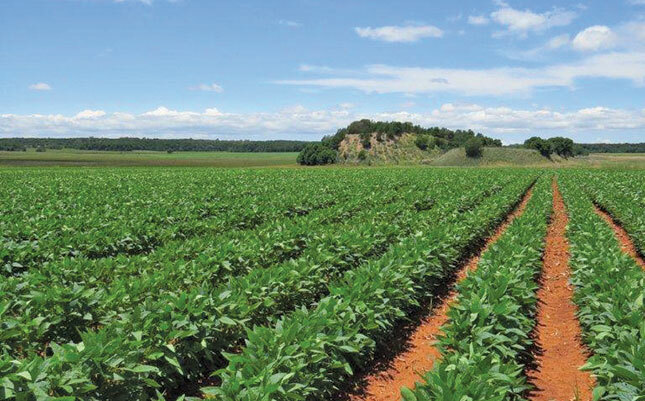 The soya industry is expected to receive a boost of R1 billion per year from the recently imposed Breeding and Technology Levy (BTL). The levy will be used to fund research into improving seed cultivars to ensure increased yield and quality, and South Africa’s competitiveness in the global market. Previously, seed companies had little incentive to fund costly seed development research. Prof. Ferdi Meyer, Director of the Bureau for Food and Agricultural Policy (BFAP), said that ‘farmer privilege’ allowed farmers to save and replant seed. “For self-pollinated crops such as soya bean, this means that farmers only have to buy seed once, and can continue planting the same variety in subsequent seasons. As a result, the financial motivation for seed companies to invest in local, long-term, expensive breeding programmes, or to import new germplasm or traits, is limited, as they’re unable to recoup a significant portion of their costs or collect the due return on innovation. The levy will require farmers to pay R65 for every ton of soya delivered. The fee will then be transferred to seed-breeding companies and research institutions based on their seed sales market share. Because it will be a statutory levy, 20% will be contributed to developmental initiatives. The levy is a significant step towards ensuring the sustainability of the industry, as declining global commodity prices required farmers to increase on-farm efficiencies, while inconsistent quality of local soya oilcake resulted in more imports, Meyer said. In real terms, grain commodity prices had declined over the long term and this trend was projected to continue, at least for the next decade. “To ensure economic survival, farmers consistently have to produce higher output per unit of input,” he said. Meyer noted that improved technology in the soya industry had far-reaching consequences both up and down the value chain. Meyer added that soya was expected to realize an annual growth rate of 2% over the next decade, compared with 0,33% during the previous decade.